The C-HR is unlike any vehicle Toyota has ever launched. The stylish, technology-filled subcompact SUV is a leap forward in design and innovation. And, yes, the chassis was refined by driving on some of the world’s most curvaceous and technically challenging roads, including the Nürburgring Nordschleife in Germany’s Eifel mountains. But, just how far can you push its limits? Can a mild-mannered front-wheel-drive SUV be transformed into an outrageous race car that can compete against the McLaren 650 S Spyder, Porsche 911 GT3, and Nissan GT-R NISMO? PURE POWER 0 – 60 MPH IN 2.9 SEC. “To stay true to the cars sold in the United States, we wanted to retain a 4-cylinder engine and we wanted to keep it front-wheel-drive. 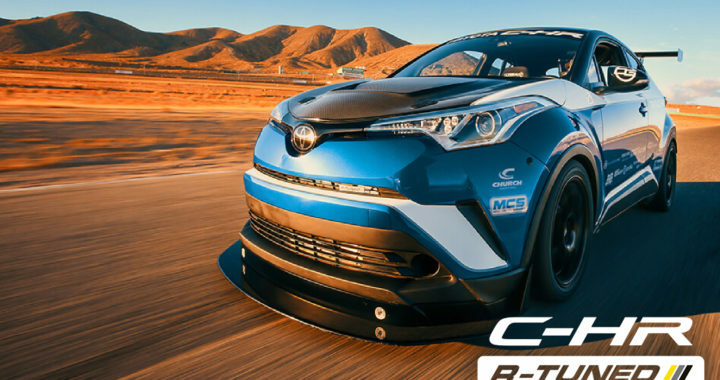 The C-HR R-Tuned features a 2.4-liter Toyota 2AZ-FE with Dezod-supplied forged internals, a titanium and Inconel valve-train, and a custom DG-Spec Garrett turbo system that pushes power output beyond 600 horsepower at approximately 23 psi of boost. “We wanted a vehicle that would produce amazing acceleration, braking and handling. We started by stripping the factory interior and adding a Kaminari carbon fiber vented hood, which shaved off hundreds of pounds. We went with Brembo racing brakes and remote-reservoir, triple-adjustable DG-Spec Motion Control Suspension (MCS) motorsports dampers, along with a host of custom, go-fast goodies that deliver 1.2g of braking force and 1.7g of lateral acceleration. Turns out TRD and DG-Spec created a virtually unrivaled utility vehicle—with a 1:25.22 lap time at Willow Springs International Raceway’s (California) 2.5-mile “Big Willow” circuit, the C-HR R-Tuned turned a quicker lap time than the McLaren 650 S Spyder, Porsche 911 GT3, and Nissan GT-R NISMO, to name but a few. TRD Lowering Springs have a spring rate of 32 N/mm front and 35.5 N/mm rear — that’s a 28% front and a 20% increase in the rear, which gives you more agile handling, reduced roll in the corners, and enhanced steering responsiveness. 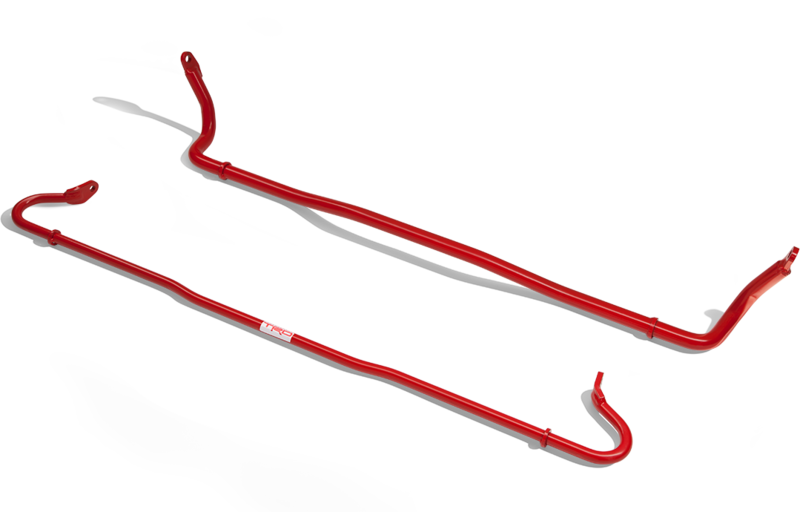 These springs lower the C-HR approximately 1 inch lower than stock, front and rear, for a lower center of gravity and improved appearance. Powder-coated TRD red for a distinctive appearance. 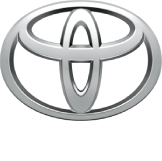 Posted in New Vehicles and tagged Buying C-HR R-Tuned in Northeast Ohio, Toyota C-HR for sale in Akron Ohio, Toyota C-HR TRD, Toyota Gazoo Racing WRT, Toyota Racing Development Newsroom, Toyota Racing Gazoo Newsroom, TRD LOWERING SPRINGS, TRD Pro Newsroom.